We've seen the schematics, but now it's time for the real deal. ComingSoon.net has scored a sneak peek at Art Asylums' upcoming Marvel Vs. Capcom 3 minimate line, bring us our first look at the Zero figure in the flesh -- er, plastic. 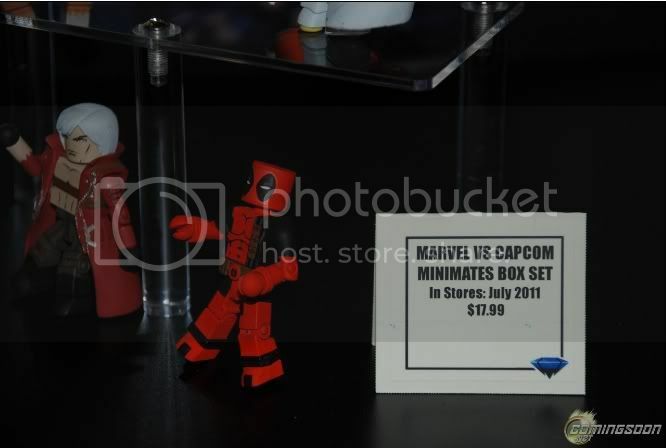 The MvC3 line is looking to release some time in July, according to this display here. It's worth mentioning that Zero will likely be sold in a box set among other MvC3 characters, so don't expect to purchase the guy as a standalone. Still no sign of the Tron minimate, but she's supposedly on the way, too. I'll keep you posted! Welp...gotta say, that looks pretty stupid. thought it was gonna be a Lego set which would have made me poor from buying it. 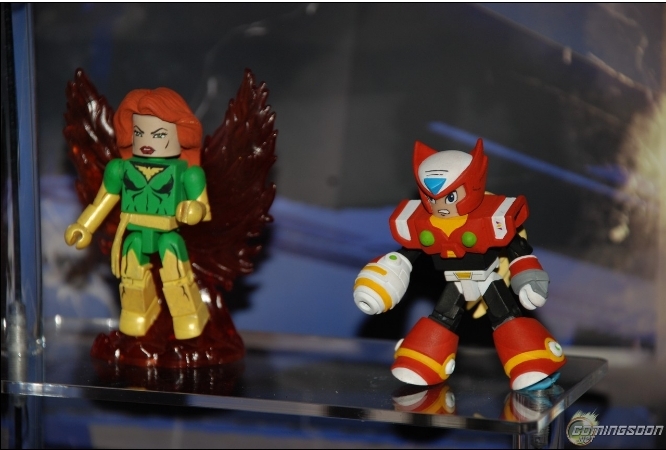 We need a Megaman Lego set! 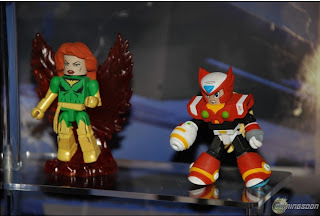 Doesn't like much the Minimates design, but Zero doesn't look so bad. Phoenix in the other hand, makes my eyes burn! It looks like they took it from Marvel Zombies. that doesn't look all that bad for a lego style figure, it looks better then the concept art posted a while back. Eh they look sort of okay. Wonder if Tron will have the Gustaff. So, sorry to burst your bubble, but Tron is not in this line, from how it looks. So, are they doing the entire line up or just the cheapest characters? I can't imagine a Sentinel minimate.